An original work in every regard, Self is an extraordinary display of creativity, celebrating the artistry that can be achieved by the collaboration of local talent. A mesmerising feast of modern dance, Self is an exploration of the pressures, choices and questions that shape The Artist. 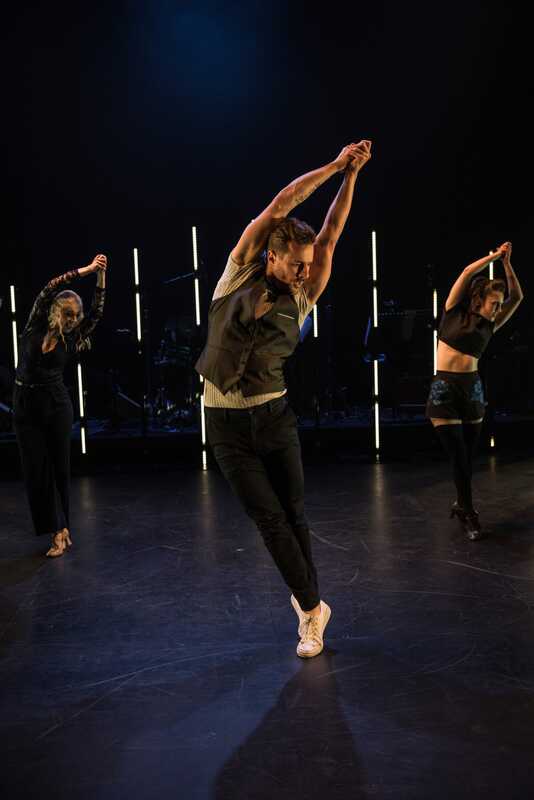 Choreographer du jour Michael Ralph has created 55 minutes of thought-provoking dance action that is just dazzling to watch. This achievement alone would be a great attraction, but when combined with original music by Jack Earle the result is really something to be celebrated. New company Hucklebuck Productions presents the work with great flair, achieving a very impressive level of polish in the execution. The list of Acknowledgements in the program indicates the terrific level of support for new work like this. While the title and marketing images give the suggestion of a solo show, this is definitely an ensemble piece. Established star Rohan Browne leads a company of seven fellow dancers (consisting of six adults and a child). Browne not only dances The Artist, but also has been actively involved in the collaborative process of creating the new work. Upon Browne’s entry, Ralph immediately establishes his choreographic vocabulary, which is based upon grounded, masculine moves with tight angles and sharp beats. 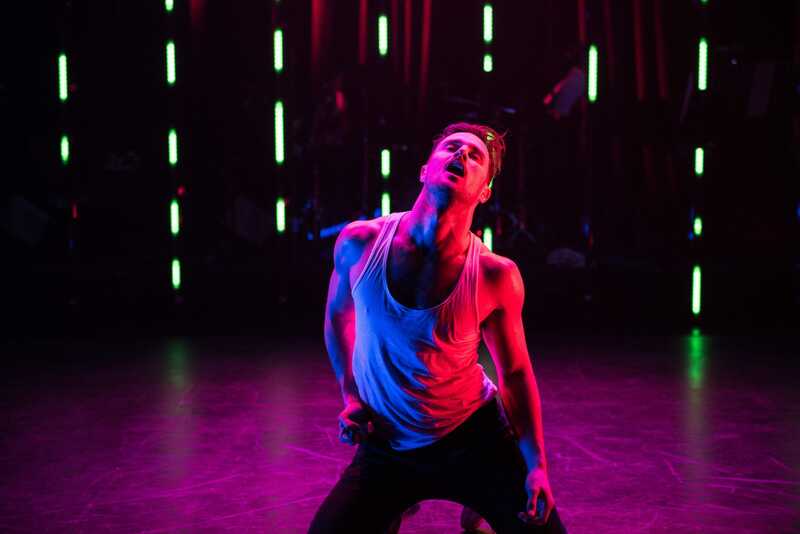 Browne is soon joined by the six other adult dancers (three male, three female) for a sequence of distinct but connected scenes that explore aspects of lust, sexuality, alcohol abuse and more. The unison work by the company is dazzling in its precision; I found myself watching much of the performance with my mouth open in awe. As well as casting exceptional dancers, it is very clear that Ralph has sought performers with strong acting ability. Acting also as director, Ralph’s storytelling within each vignette is clear, and the dancers’ interactions with each other are electric. Even the tightest unison work is still coloured with a sense of individuality and character amongst the cast. The dancers are: Sheridan Anderson, Alex Given, Loren Hunter, Max Patterson, Jordan Turner and Romina Villafranca. Looking buff and toned, Browne gives a compelling lead performance, working as a member of the group but also projecting the authority of the leader. Browne’s openness to giving himself over to the experience is evident in his intimate physical contact with both female and male dancers as The Artist explores all angles of his sensual self. An investigation of self naturally includes childhood, and the company is fortunate to have Jackson Rudge, whose adorable appearance belies the depth of his experience and talent. Rudge’s inclusion rounds out the exploration of self in a satisfying and charming manner. At only 21 years of age, Earle surely has a huge future in composition and conducting ahead based on his achievements in Self. Earle’s music has a fluid, jazzy feel yet also has a distinct rhythm for dance. The accomplishment of the composition is magnified by Earle’s orchestrations for seven musicians; muted trumpets and smoky saxophone fairly sing the lyrical music. Gemma Kelly’s costume design has the cast in blue and black street wear, enhancing the connection to real life. As the action heats up, parts of the costumes are taken off, driving up the stage heat considerably. 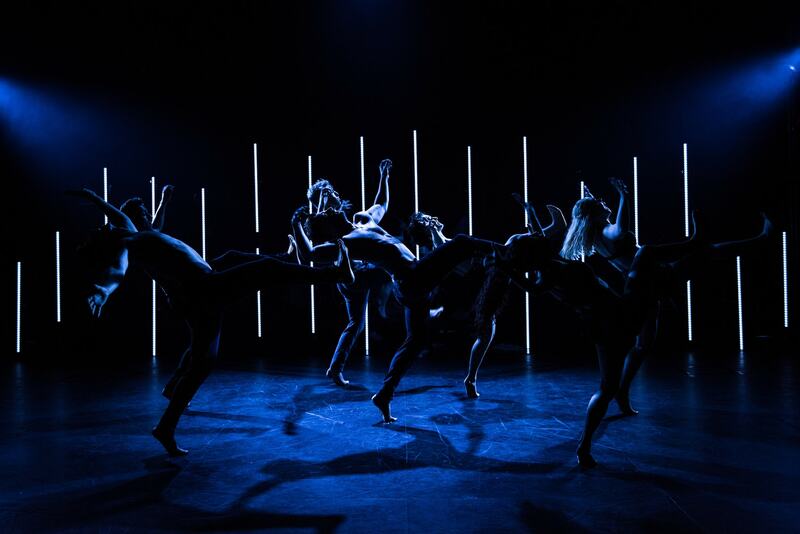 Completing the attractive visual picture is the incredible lighting installation by lighting designer Tom Willis. A series of staggered vertical strips have been arranged upstage in front of the band. Small globes emit varying colours with the animated pulses of a graphic equalizer, giving a far more exciting visual appeal than a traditional set. Self speeds by in the blink of an eye. 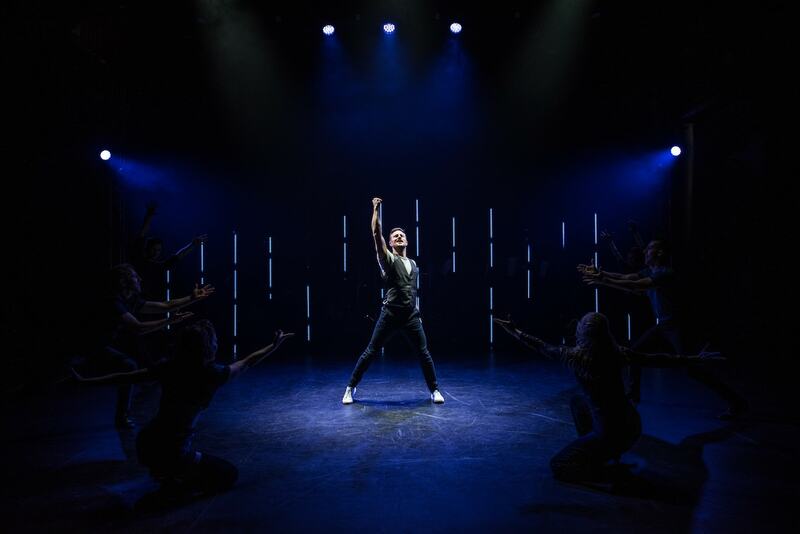 Attending the production is a vote of support for new work, but when the work is as polished and entertaining as this, attendance is its own reward. Self plays at Chapel off Chapel, Melbourne until 1 October 2017.